By applecupcake on November 30th, 2010 . Filed under: Bed, Bath, Body, Gifts . Its that time of year again! Less than a month until Christmas day and you have to buy presents for all those people in your life and more often than not, you have no idea what to get! Well here are a few cupcake ideas for a cupcake inspired Christmas! 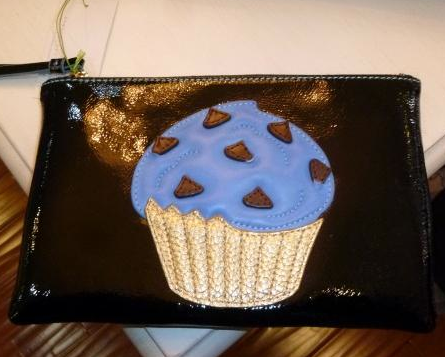 First is a cupcake clutch, this one was spotted by Rebecca A. Cooper in Periwinkle boutique at Shirlington and is USD $52 plus tax. The patent bag is super cute with its embossed cupcake! See more here. 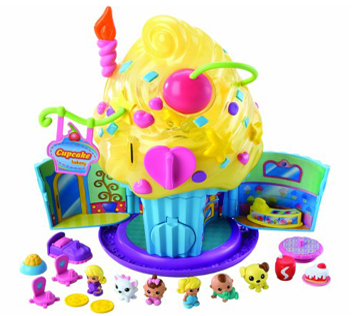 For kids, you cannot really go past this year’s best seller, the Squinkies and their Cupcake Surprise Bake Shop from Blip Toys! You can pick this one up for just USD $39.99 from Amazon and it is currently in stock (though only just). Or how about something a little more strange? 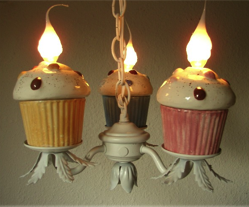 Like Angel Heart Design’s Cupcake Chandelier? This white iron chandelier comes with three cupcake lights and is USD $145.00. You can also have a say in the color of your cupcakes! 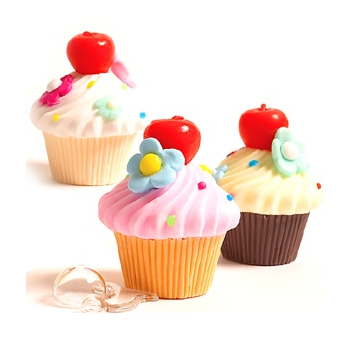 Or play it safe with body products like these adorable little cupcake soaps from Ditsy Daisies. They are just GBP 8.50 and come in three flavors, or should that be smells!? Then don’t forget, if they bake there are heaps of ideas around, such as cupcake liners, wrappers and toppers, not to mention cupcake books and baking trays! That chandelier is something else!